Italian design shop Spadaconcept — founded by former Zagato stylist Ercole Spada — revealed images of its new Codatronica concept. A modern take on Italy's last-century sports-car designs, the Codatronica is based on Chevrolet's Corvette chassis and mechanicals. 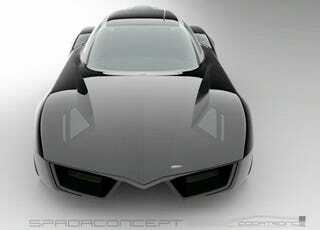 According to Autoblog.it, it'll be produced in three spec levels, Sport Touring (512 hp) Fast Sport Touring (513 hp - ?) and Sport Super Touring (700 hp, 701 ft-lbs, an estimated top speed of 220 mph and a zero-to-60 time of 2.7 seconds). Feel free to insert Il Uomo del Blocco jokes here.